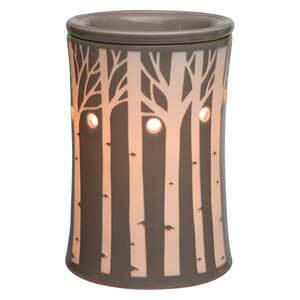 Chasing Fireflies - Authentic Scentsy Warmer - Buy Now! 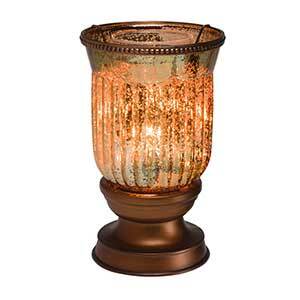 This authentic Scentsy warmer is called “Chasing Fireflies.” It's a premium sized warmer and perhaps one of the most popular and best selling candle warmers Scentsy has ever put on the market. 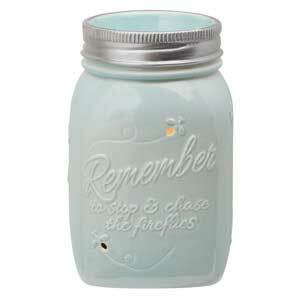 Chasing Fireflies is painted by hand and resembles a glass canning jar. Turned off it has a very light soft blue finish. 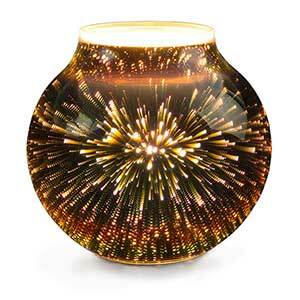 Turn it on and it glows! There’s a silver right at the top. 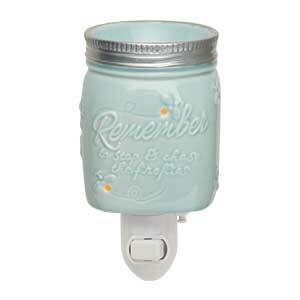 This warmer was released during the 2014 Scentsy convention during Heidi Thompson gave a tearful but inspired speech about her childhood memories of chasing fireflies on long summer evenings of fun times. 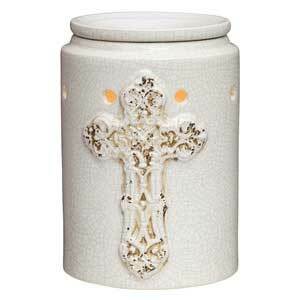 Also, this warmer has a matching night light warmer or view all candle warmers here.